A dear friend asked me for the recipe of this delightful, creamy custard. 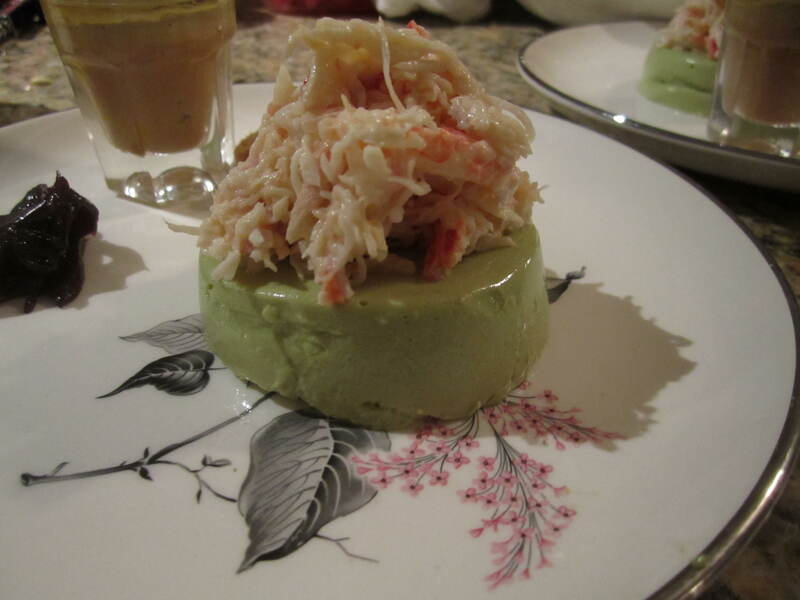 Toni and I came up with custard a few years ago, and served it with a mushroom consommé. Its velvety texture and pale green color paired wonderfully with the meaty-dark broth. It also pairs beautifully with seafood! 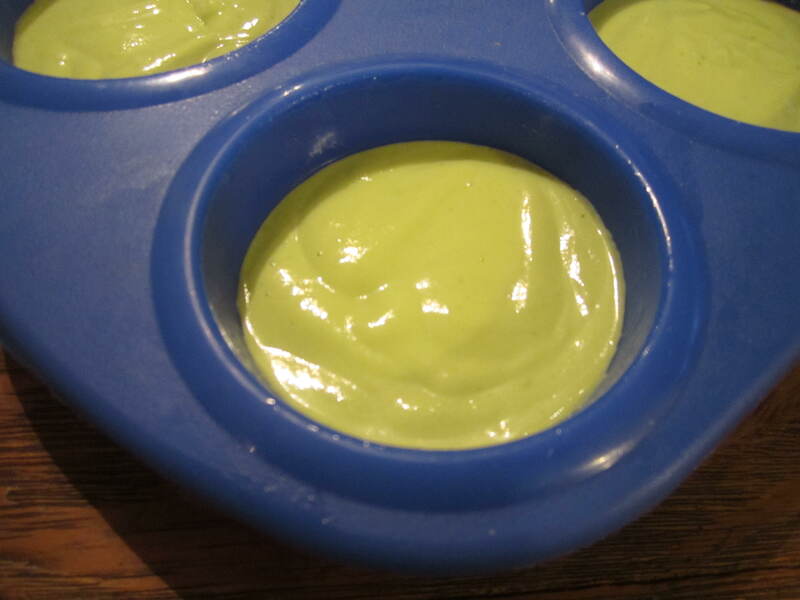 Place 1/4 cup of warm water in a small ramekin and sprinkle half a pack (about 2 tsp.) of unflavored gelatin. Let it soften for about 10 min. 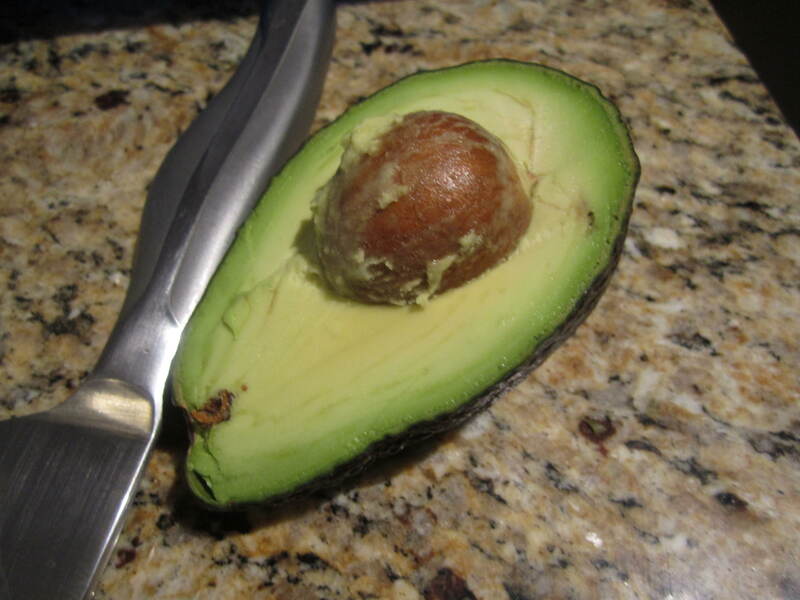 Meanwhile, place the avocados, evaporated milk and salt in a food processor or blender. Process until smooth. Add the juice, cilantro and mix well. Add 1/4 cup of hot water to the gelatin mixture and dissolve until liquid becomes clear. 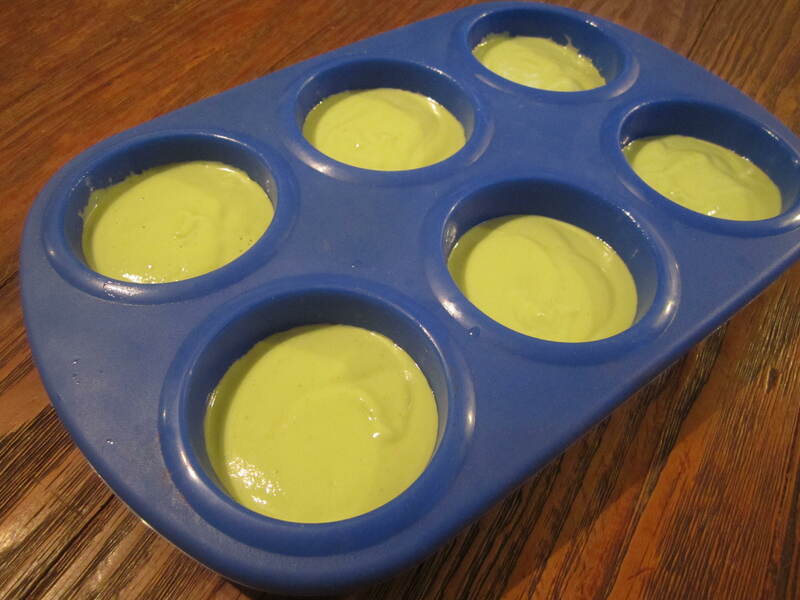 Once it has slightly cooled, add the gelatin to the avocado mixture and mix thoroughly. Divide the mixture among oiled ramekins (this will make it easier to unmold). Chill for 3 hours or overnight. You should be called KitchenSUPERNani. Looks awesome, what a great addition to our Christmas dinner!! !